Nestled in a quiet basement, the well-lit setting is that of a classy fine dine. The ‘anannas ka panna’ makes for a wonderful start, as does the paya pudhina shorba. 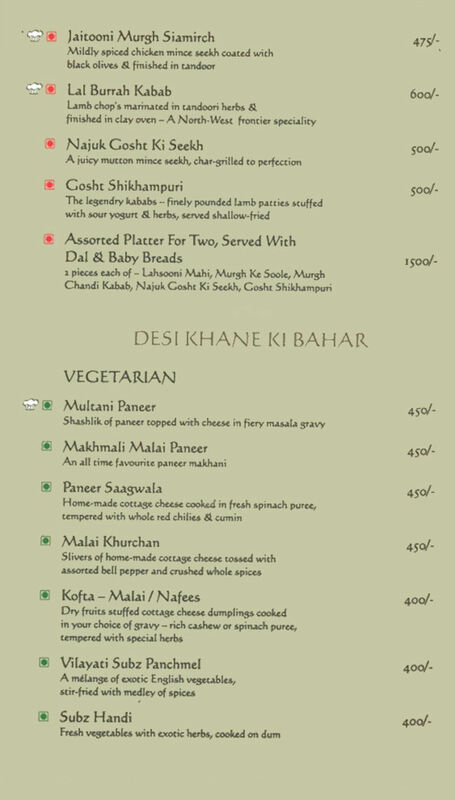 Vegetarians have some excellent options in kababs – creamy Peshawari paneer tikkas, ‘chenne se bhare kumbh’ of cottage cheese and dry fruit-stuffed button mushrooms, ‘gucchi aur draksh ki galavat’ (a melting fried mince of dried black grapes with mushroom), and inimitable ‘chonk ki tikki’ or patties of potato, cheese, green peas and sultanas. 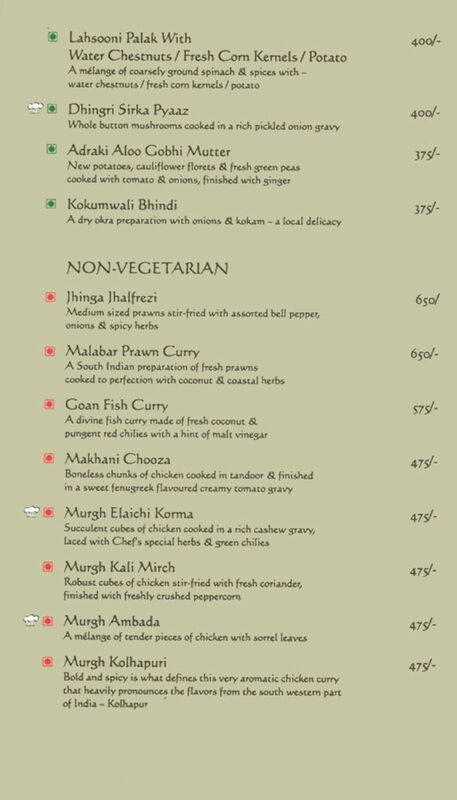 Carnivores are not far behind, with the ‘jaitooni murgh siamirch’ (chicken seekh wrapped around cheese and green chilli, coated in minced olives) or fatty ‘najuk gosht ki seekh’. Coupled with an olive or potato-pomegranate kulcha, the quality of the kababs fortifies the restaurant’s moniker. The mains are well above average, too – lahsooni palak with the sweet crunch of water chestnuts, or martbaan ka gosht, with its spiced mutton stock seeping into the core of tender meat. Finish with a bowl of the royal khoobani ka meetha (cream-soaked, aromatic, stewed apricots). 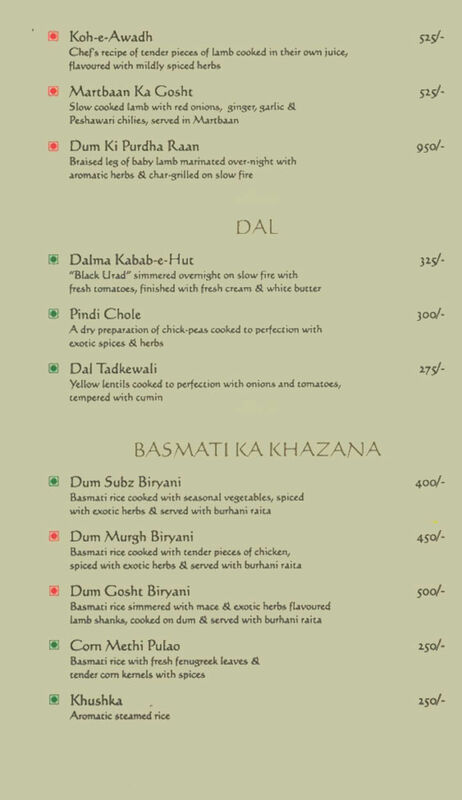 The Mughals were a gastronomic lot. Being royal they had a treasure trove of spectacular recipes and the best of ingredients at hand so they managed to create some fabulous dishes to add to our repertoire. But out of all their creations there is one dish that completely stole the spotlight i.e. kababs. These juicy and melt-in-your-mouth delicacy has fast become a huge favourite with the food community. Dunk these spicy minced meat patty in cool mint chutney with raw onion salad to enjoy them to the hilt. For Pune city crowd there is only one place that prepares most soft and delectable kababs, ‘Kabab Hut’. 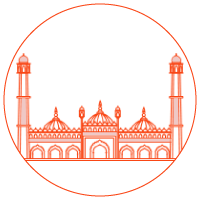 The restaurant is often packed with office goers and group of friends who like to grab a plate of steaming kababs between meals. 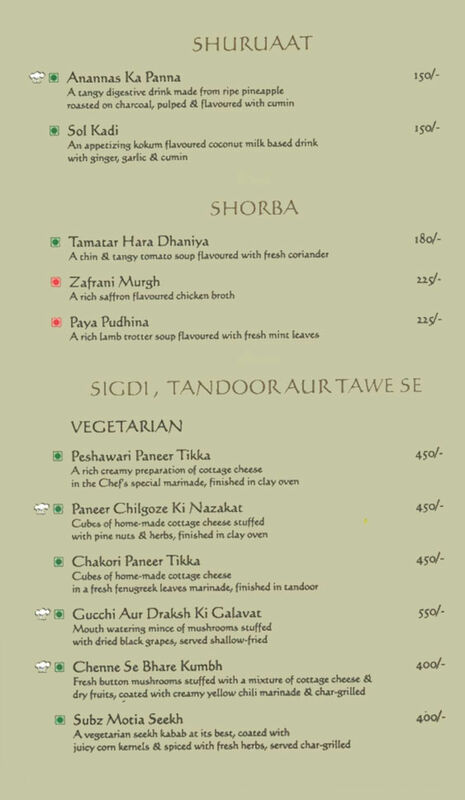 The restaurant is located in the basement of Sun-n-Sand Hotel away from all the busy honk-a-tonk of the city. This elegant little restaurant is ideal for a lavish but quiet meal in company of friends and family. The menu of Kabab Hut is authentically North-Indian encompassing all the great and rich dishes originating from the northern region. Expect scrumptious hot curries, mouth-watering kababs, crisp naans, fragrant biryanis and royal desserts. Menu is not extensive or unnecessarily lengthy rather it is compact and full of fantastic regional dishes to warm a soul on cool evenings. The chef is exceptional at what he does and manages to retain the originality of the recipes. 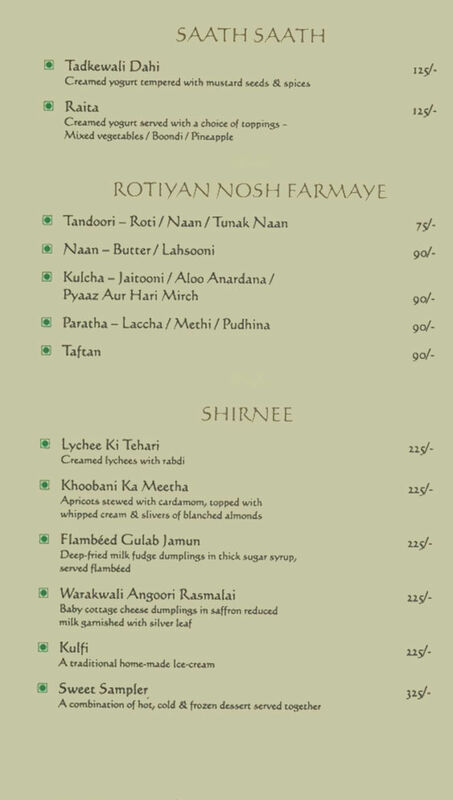 Begin exploring the menu with anannas ka panna, paya pudhina, peshawari paneer tikka, lahsooni mahi, zamindari aloo, aatish-e-tandoori murgh, chonk ki tikki, subz motia seekh, sol kadi, chenne se bhare kumbh, murgh ke soole, gosht shikhampuri, jaitooni murgh, sarsonwale tandoori phool, jhinga kali mirch and zafrani murgh shorba. Keeping true to the name Kabab Hut, the kababs are paid special attention too resulting in spectacular preparation. 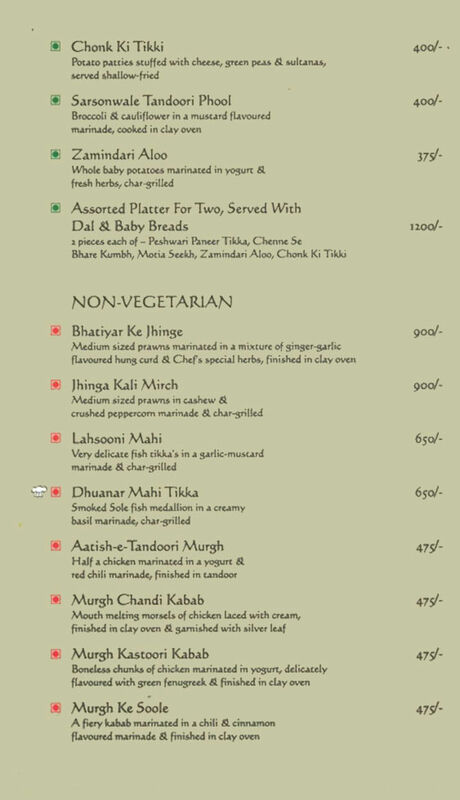 Now coming to the mains part of the menu indulge in subz handi, makhani chooza, kokumwali bhindi, goan fish curry, murgh kali mirch, multani paneer, malai khurchan, murgh kolhapuri, martaban ka gosht, dal tadkewali, dhingri sirka pyaaz, pindi chole and koh-e-awadh. Pair the curries with parathas, naan, biryanis and stuffed kulcha. This royal worthy meal deserves a royal finish so let go and dig into kulfi, khoobani ka meetha, lychee ki tehari and flambéed gulab jamun. Kabab Hut is a pricey place but not much so indulge in everything your heart desires.